The Ministry of Education, Youth and Sport (MoEYS) together with the Ministry of Posts and Telecommunications (MPTC) yesterday signed a memorandum of understanding with Smart Axiata to develop future talents and digital corporate leaders over the next three years. With the signing of the MoU, Smart Axiata commits to investing $1.5 million into two programmes, the existing SmartEdu Scholarship Program and the newly launched SmartEdu University Student Development Program (USDP). With the USDP, which will run for three years, Smart Axiata is targeting top Cambodian students from any university nationwide. Smart Axiata has extended its scholarship programme, partnering with both ministries, for 3 more years for students going to public universities, including those going to the National Institute of Posts, Telecoms and ICT under the purview of MPTC. “The scholarship is our commitment to continue providing 20 scholarships each year for 3 years with up to $15,000 allocated per students for the whole study programme. This includes their tuition fees and monthly allowances,” said Smart Axiata. 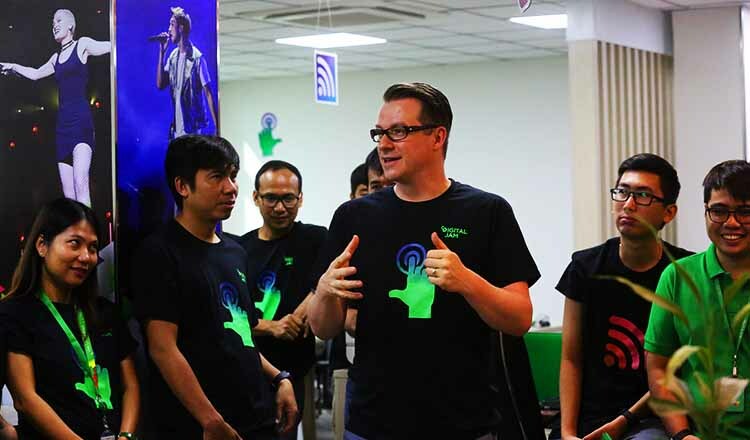 Speaking at the signing ceremony at the Raffles Hotel Royal in Phnom Penh yesterday, Smart Axiata CEO Thomas Hundt said, “This is another significant milestone for Smart Axiata as we actively contribute towards long-term socio-economic growth in Cambodia. “We are not only signing a tripartite MoU with the Ministry of Education, Youth and Sport and the Ministry of Posts and Telecommunications, but we also launched a new flagship development programme under the SmartEdu brand. Mr Hundt said under the USDP, which emulates the successful Axiata Young Talent Programme conducted in Malaysia, 48 top Cambodian university students will take part in a 13-day stay-in Bootcamp that will provide participants with theoretical, experiential, personal and relational development opportunities through workshops, business simulations as well as coaching, centred on various industries. The winning teams will receive cash prizes while the top five participants will receive a fully-sponsored 2-month work placement at the Axiata Group in Malaysia. “The new flagship CSR initiative, the SmartEdu University Student Development Programme will shape the future of Cambodia. A portion of the investment will be from Smart’s contribution to the Capacity Building and R&D Fund. 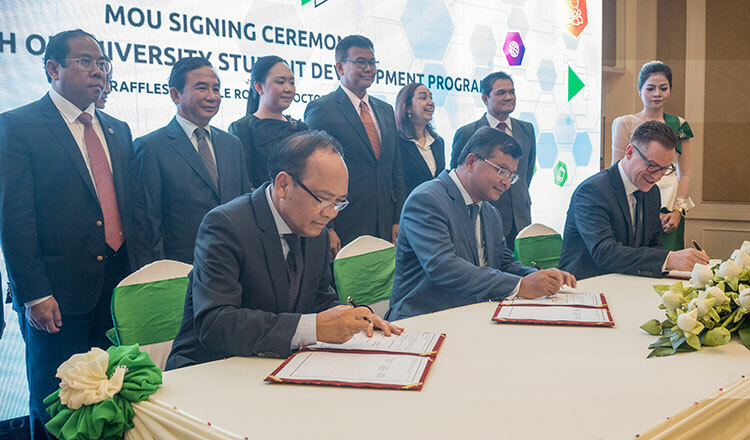 “The USDP aims to provide Cambodian university students with essential corporate skills in the highly challenging digital era. 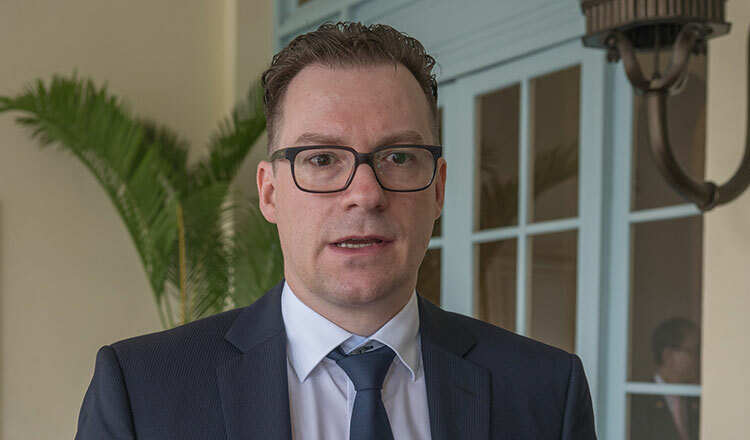 This holistic, evolutionary annual programme will be immersive and exciting; I am certain it will unlock many future digital leaders and CEOs,” said Mr Hundt. Dr Hang Chuon Naron, Minister of Education, Youth and Sport, said Smart Axiata continues to be a strong development partner in introducing education and tech innovation initiatives. “This includes the SmartEdu Scholarship Program and SmartStart Young Innovator Programme. I am particularly intrigued by the USDP’s comprehensive learning framework that will not only provide knowledge but also encourage ‘learning by doing’. I am delighted to be present at such events organised by Smart Axiata that also introduce us to new methodologies through their new programmes, that could be jointly implemented in the future,” said Mr Naron. Heng Helen, a representative from Smart’s CSR & Sustainability team, encouraged all university students to apply for this flagship programme. “We are looking for Cambodian university students who are well-rounded with great attitude, self-awareness and self-management capabilities. University students can apply at smarted.com.kh to join the USDP before October 22, while the application for the next scholarship programme cohort closes on October 10,” she said. 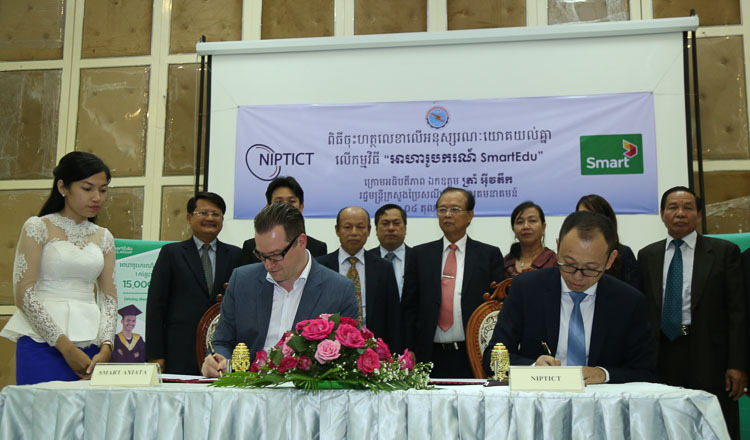 Sarak Khan, Secretary of State at Ministry of Posts and Telecommunications, said, “In line with the Royal Government’s Rectangular Strategy IV, MPTC will further accelerate its efforts in finding new measures to develop Cambodian ICT talents. Speaking to Khmer Times, Mr Hundt said gender equality is an essential part of all the SmartEdu programmes. “The programmes are open to all and so far there have been a promising number of applicants from both female and male students. There is equal interest from both genders. “At the end of the day, we want to have full gender inclusion and so far interest in the programme has been very balanced. This year we have started an orientation programme where we go to the universities to explain to the students what courses are available. The aim is to reach out to the students who are eager to learn, eager to join the programmes,” he said.